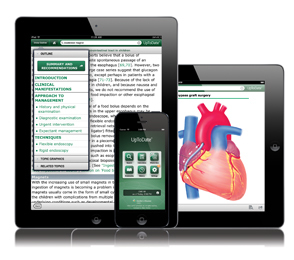 Review more than 10,500 clinical topics spanning 22 medical specialties that you can access at any time and from anywhere. Examine 28,000+ pictures, tables, illustrations, diagrams, videos, algorithims, and graphs. Access information written and reviewed by more than 6,000 world-renowned physicians from 49 countries. ACT NOW! Rejoin the more than 1 million UpToDate users worldwide who rely on UpToDate to keep them current with developments in their field and 21 others as well.